For me guitar and blues are like salt and pepper, or like Yin and Yang. They are strongly connected to each other and found in every style of music, whether you’re playing rock, country, jazz or metal. So it’s a good thing for every guitar player to learn some vital blues skills. Well, today we have a Top 20 Easy Guitar Songs for Beginners. 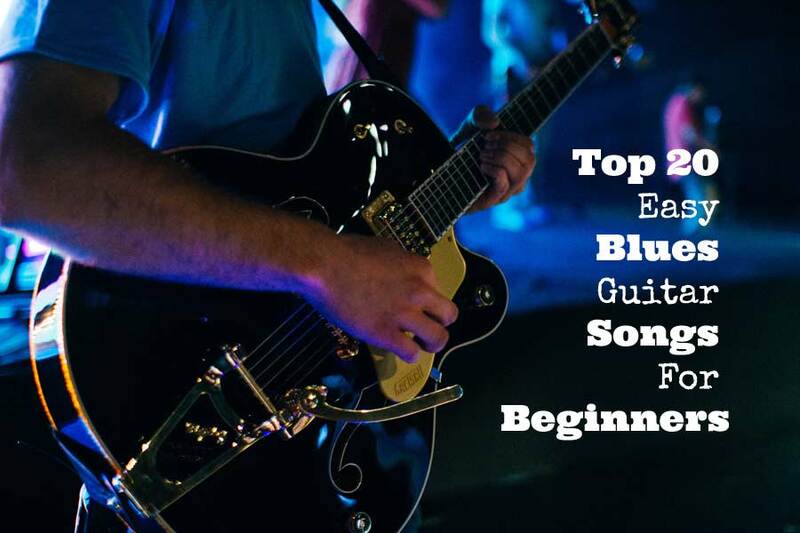 While these songs are a really good fit for the blues beginner, they are just as perfect for the intermediate or advanced guitar player. After all, it’s all about the songs. The Top 20 starts out with some basic blues chord songs and 12 bar blues shuffles, and at the end of the list there’s room for some nice beginner blues soloing. They are all excellent songs to start out learning to play the blues. Pick your choice. If you find that some song intros are still a bit too challenging you can just skip the intro and start with the verse. You’ll learn the challenging parts later when you’re up for it. Now just have some fun playing some nice blues classics. As with all things guitar, you need to invest some practice time to figure out and learn each song thoroughly. Some are easy, and some require a bit effort depending on your skill level. So if you’re really just starting out you might want to use some of these handy tools to figure out the guitar parts. Each song title in the list contains a link to the song on Youtube. The “Chords and Tabs” links will give you the chords or tabs to the song and the “More Chords/Tabs” links will show you the official transcribed chords/tabs if you want to learn more songs of the same artist. 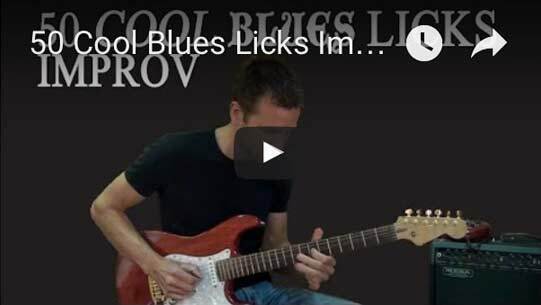 Want to learn some real blues soloing improvisation skills? While writing this post I came across a few songs I hadn’t heard before.